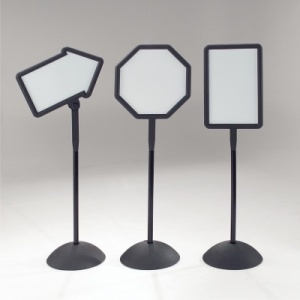 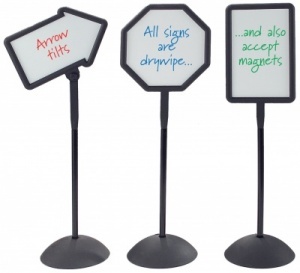 A range of double sided signs available in three useful shapes - Rectangular, Octagonal and Directional Arrow. 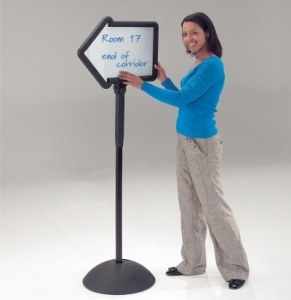 The Arrow sign angles and locks in the chosen position. The whiteboard surface accepts magnets and is designed for use with drywipe marker pens. 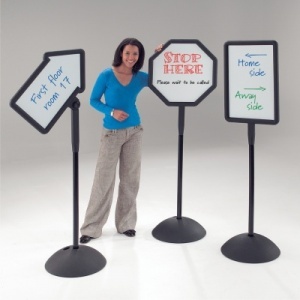 The signs feature a robust plastic frame, pole and circular base which can be filled with sand or water for extra stability.